The heart is the engine that powers us, drives us, breaks on us when we're sad and rises joyously when we feel elated. 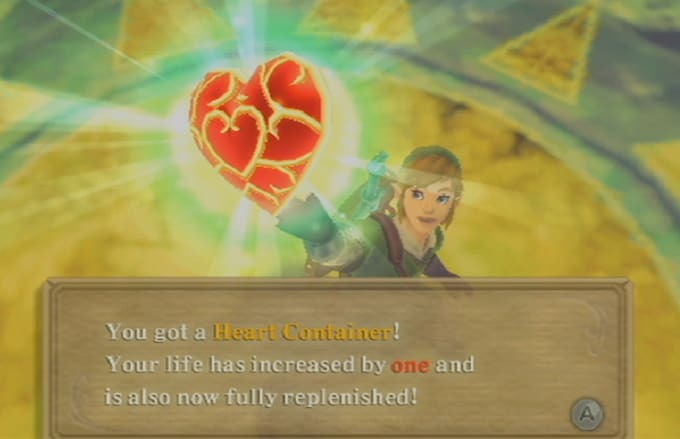 It's also the thing that keeps Zelda alive; and the more hearts, the better he feels. Everyone's favorite sword-swinging grunter runs around Hyrule, slaying enemies and harvesting their hearts, much like Mola Ram from The Temple of Doom (no, not really, but that would be even cooler). He uses them to heal up from his battles and patch himself up when he gets hurt. It's safe to assume Valentine's Day is his favorite holiday.